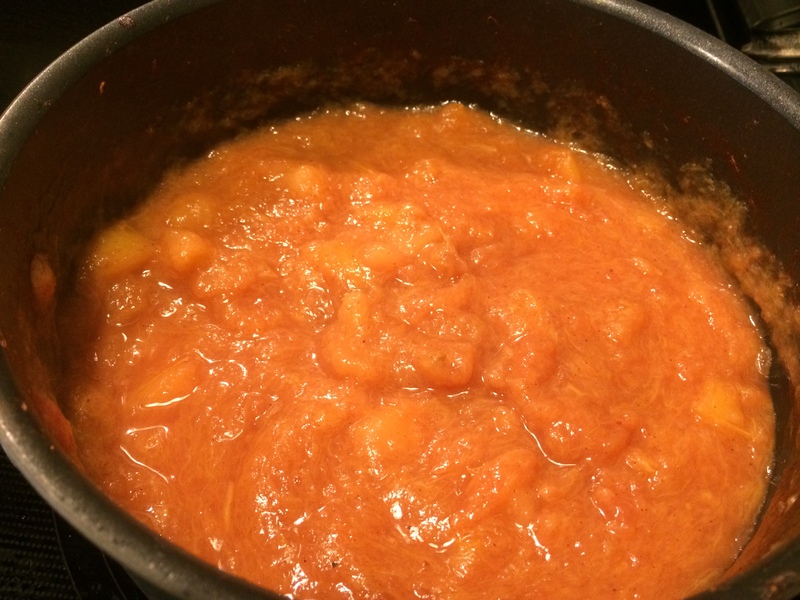 I had a bunch of Honeycrisp apples and some nice spring rhubarb from the farmer’s market and I decided to make this applesauce with them. 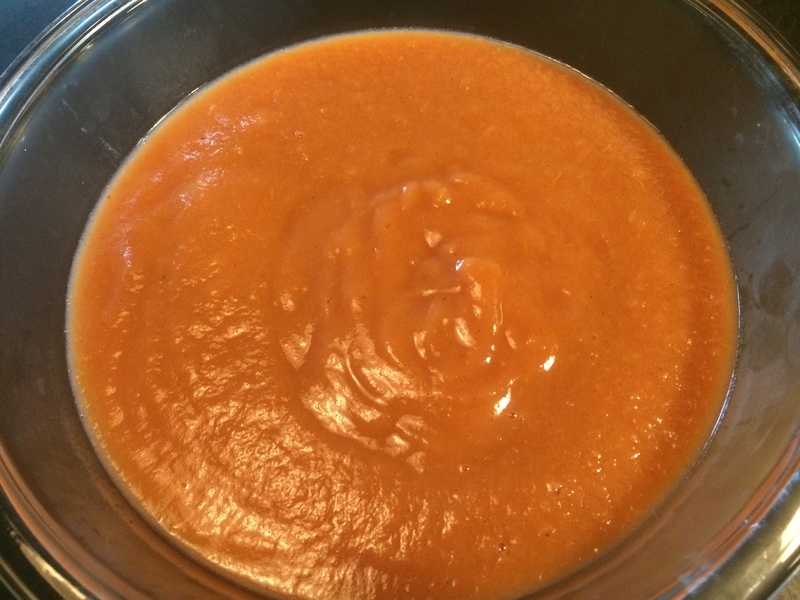 I love eating applesauce warm from the pan but it’s also a great thing to have on hand and it’s really not difficult to make. 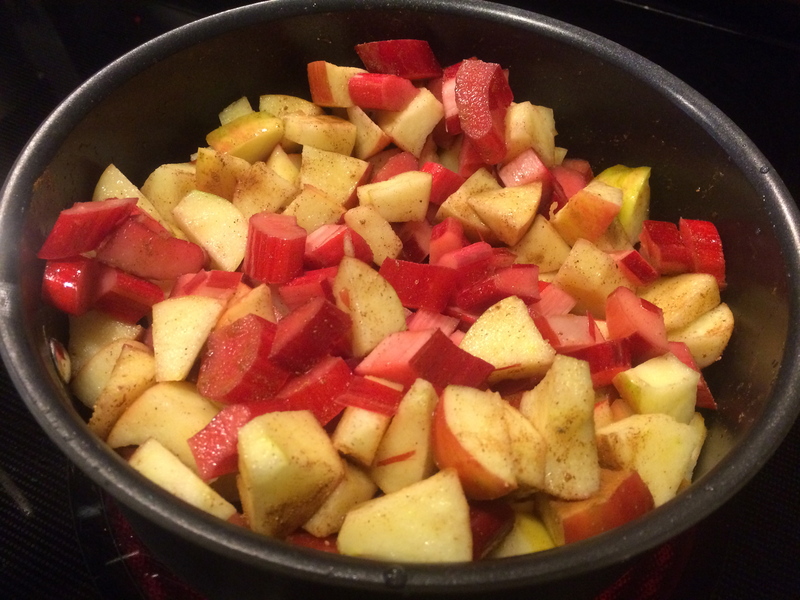 First I cut the apples and rhubarb into small pieces and brought them to a simmer in a saucepan with a little water, lemon zest, cinnamon, nutmeg, maple syrup and a pinch of salt. I let the fruit simmer for ten minutes or so, stirring every so often. I let it simmer for another fifteen minutes or so. You can see that the fruit is really broken down into a sauce here. Then I tasted it and decided it needed a little more syrup. I let that cook for a few more minutes and then I let it cool for a bit and pureed it with an immersion blender. You can leave it chunky if you like but I like the smooth texture and it’s also better for baking when it’s smooth. 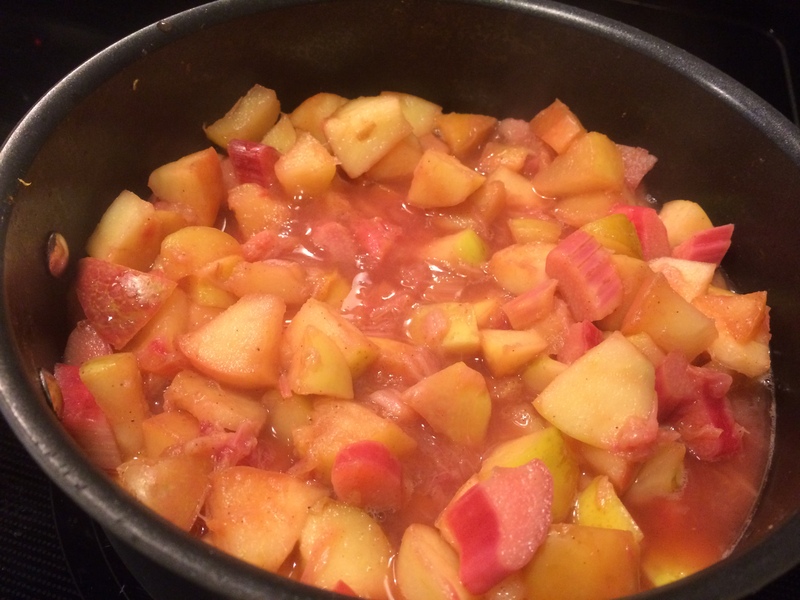 Mix the apples, rhubarb, water, lemon zest, syrup, spices and salt in a large saucepan and bring to a simmer. Partially cover and let simmer for approximately 30 minutes until fruit is totally broken down and looks like chunky applesauce. You might want to check after about 15 minutes or so and see if it needs a little water as the moisture in fruit varies. Just don’t add too much or it will be watery. Taste and add salt or syrup if needed. 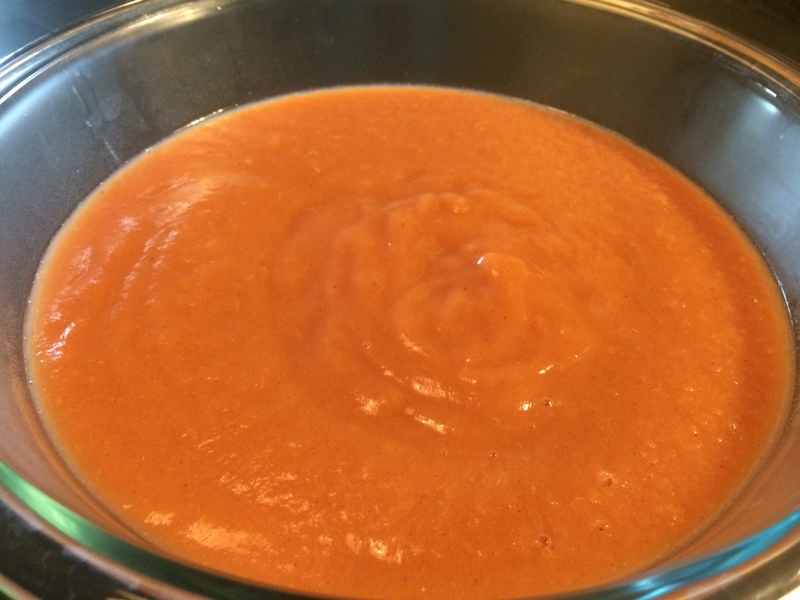 Remove from heat and let cool for a few minutes and then blend smooth with an immersion blender. You could also use a regular blender or food processor but I would then recommend letting it cool all the way to room temperature first. This is an applesauce you can feel good about serving your family. It has a slightly sweet tangy flavor with a hint of maple and is simple yet special. 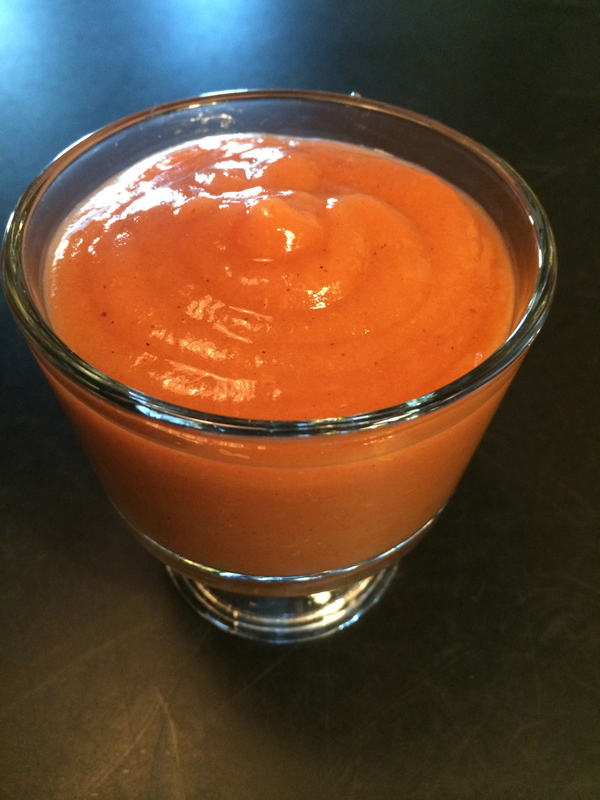 This is also a fruit sauce that you can use as a snack, an ingredient or a dessert! You can layer it with yogurt and fruit for healthy parfaits, mix it into your morning oatmeal, bake it into quick breads or muffins, make a unique sauce for meats or seafood, and serve it warm over frozen yogurt or ice cream. A lot of yummy things featured here…….you are the best.